Canning Jars and Loss of Liquid - What's the solution? - Canning Homemade! Home » »Unlabelled » Canning Jars and Loss of Liquid - What's the solution? I keep seeing questions and FB comments about the word "siphoning" and I'm not sure that is the word that I would use. 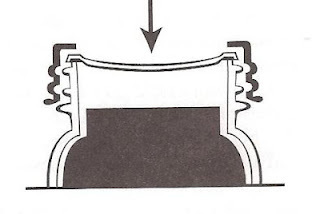 They describe siphoning as; a jar that has a much larger headspace that originally canned or the liquid appears in the water of the canner with residue on the lid, ring, and/or jar. The video below is my recent batch of beans just taken out of the canner demonstrating the contents are still boiling when they are removed from the canner. 1) If you didn't measure the correct headspace the food will "boil over" in the canner. It will escape out the top of the jar and the end product will be short in the jar of either liquid or product. 2) If you did not remove the air bubbles before putting on the lid the results from the boiling canner will create action in the jar. The food will take up the air space not previously removed making your jars look like a boil over when in fact it didn't have enough liquid to start with. There are many that fear that the "boil over" or the "excessive headspace" will be reason to put those jars in the refrigerator and that they are not shelf stable. The key is how the jars sealed. From the picture to the right as the jars cool the change in temperature causes the lid to pull down sealing the jar. If you have excessive headspace and the jar doesn't seal the processing time may not have been sufficient to drive out the air. This jar must also find a home in the frig. But if the jars seal in either of these conditions they are shelf stable. The last and most important procedure, to ensure that you will have an indication of a bad jar in the future, is to store all the jars without the rings on them. I know for many that is contradictory to what you know but there is a good reason to do so. I will use the examples from the jar to the left as my prime candidate. Without a ring, the jar with excessive headspace, though it has properly sealed, may start to have growth of bacteria. The bacteria will cause; 1)pressure under the lid causing the lid to slide off or 2) the center of the lid will bulge or 3)when removing the lid to use the contents of the jar the lid will have no resistance to your fingers pulling it off. If you leave the ring on and if bacteria forms the ring will stop the lid from moving. Though the lid may not bulge, given time, it could reseal itself trapping the microorganism that may lead to e.coli and botulism. Filling and doing the steps to process a perfect jar requires practice. You will continue to have some that don't come out quite right here and there, but don't give up. Some foods can be tricky because of their natural expansion such as dried beans and lentils. Good canning recipes specify the headspace, but a general rule is use 1 inch for low acid foods (such as vegetables), 1/2 inch for fruits and pickling, and 1/4 inch for jams and jellies. 1. Make sure that if you are doing beans or other foods that will absorb liquid that you account for expansion. You will want to fill your jars 1/2 to 3/4 of the way full with your recipe and complete up to the headspace with your hot liquid. The recipe will tell you how to fill. If not ask me! 2. Make sure to be good about the headspace. 1" means the space between the top of the jar to the start of the level of the food! 3. When putting on the rings make sure they are only finger tight. Cranking the rings on may cause undue pressure on the lids making it harder to release the air from the jar. 4. Make sure to start simmering the water in the bottom of the canner before loading the jars. This will help once the lid is on bring up the temperature in the canner. 5. Once the lid is on the canner, make sure to vent the canner for the full 10 minutes. The canner internal temperature is important in creating enough steam and heat and will also help in the liquid not boiling over. 6. 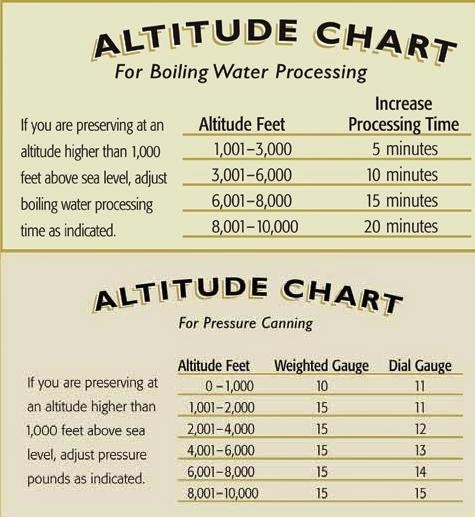 Be diligent during processing to keep a "fairly" steady temperature under the canner to not process for long periods of time at excessive amount of pressure. That will cause overboiling in the jars for the additional pressure over time. 7. When you are done with processing make sure that you do not move the canner because shifting the canner may cause the liquid which is now up to the lid to spill out. Let the canner cool naturally. Do not force the issue by knocking or pushing the weight off of the vent to release the steam faster. 8. Don't let the jars sit in the canner beyond the time it takes the canner to cook. The internal temperature will take a while to cool which will allow your recipe to continue to cook and possible boil over. Take your lid off once the pressure gauge returns to zero or your lid lock goes down. 9. Once you have removed the lid let the jars sit in the canner for 10 minutes. This will allow the jar additional time to depressurize. I have seen jars siphon after the lid is off when taking them out right away so wait the 10 minutes before taking them out. I know that it's a lot of things to remember but practice makes great jars and the loss of liquid can be avoided in most cases!